Istanbul Galata Neighborhood is located on the northern part of Golden Horn. It’s a very popular place to stroll around. 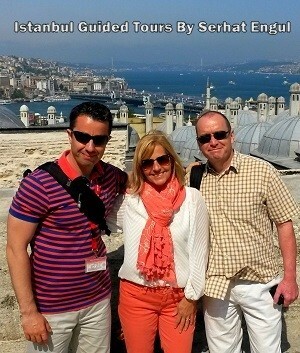 There is Galata Tower to watch 360 view of Istanbul. Around the tower there are delicious boutique coffee shops to sit and watch people passing by. In this article, we will focus on the history of Galata area. Certain mercantile privileges were granted to some Italian city states by Byzantine Empire. Among them, Venice and Genoese colonies took the lead. The city was captured and sacked by the Crusaders, during the Latin invasion in 1204. 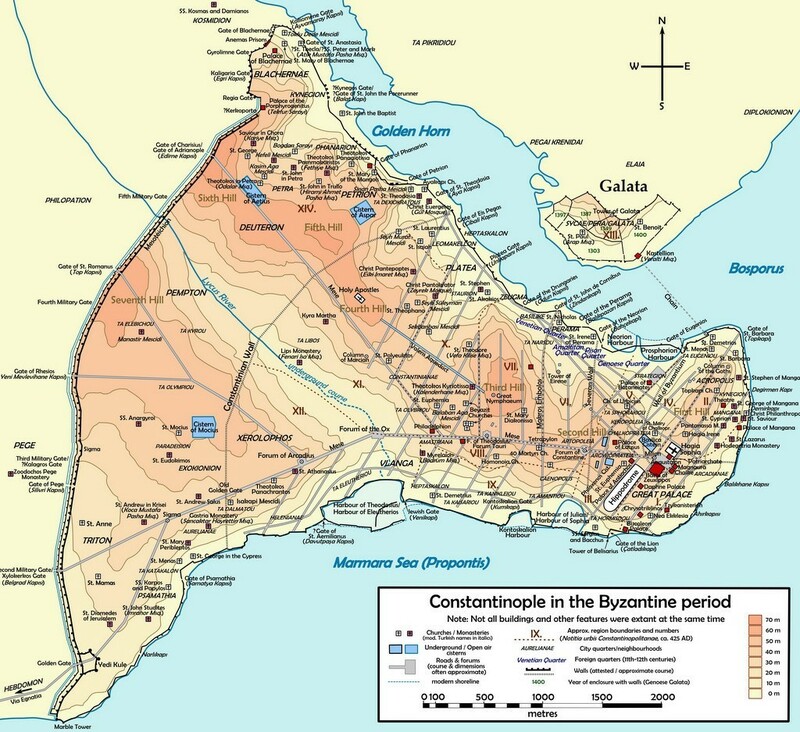 When the city was recaptured from the rebels by the Byzantines in 1261, Genoese Colony had contributed militarily and Galata area was given them in return of their aid. The Genoese took important part in sea trade of the city and covered Galata area with walls. Galata Tower, one of the important historical monuments in the city, was built by the them in 1348. Galata Tower was simply a military watch tower for the Genoese to watch over the harbor. Genoese Colony continued its existence and mercantile privileges during the Ottoman Empire period. As Sultan Mehmed the Conqueror, did not want to change the efficient system. Galata is located inside the Beyoglu District. Beyoglu area is referred as “New City” in most guide books, because it is located outside Istanbul Historic Peninsula (Constantinople). Galata is one of the most striking and intense neighborhoods in the New City. Galata Tower is surrounded by a wonderful square with nice cafés and restaurants. It is possible to come across long queues at the entrance to Galata Tower. 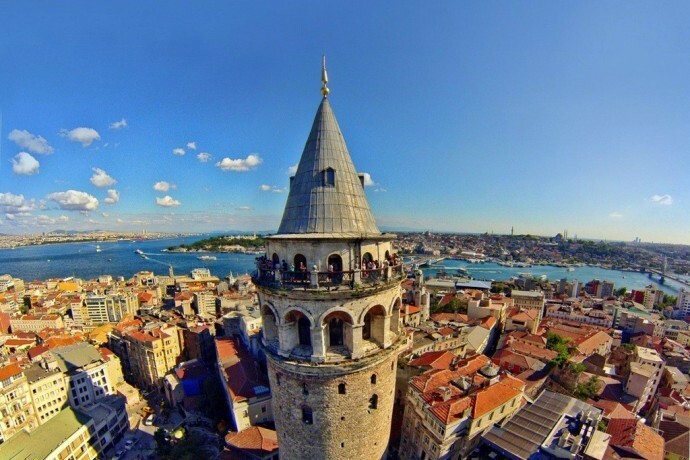 Although there is a nice scenery at the top of Galata Tower, it’s a matter of question if it really worth the 25 TL. If you would want to wait in the long lines check out the nearby Galata Anemon Hotel’s terrace. The top floor of the hotel is also a good choice to take great pictures of Galata Tower. One of the most important synagogues of the city, Neve Shalom, is located in Galata. Jewish Museum of Turkey also within the synagogue complex. The museum tells you the story of Jewish people being forced to migrate by Spanish Monarchs in the 15th century. They were welcomed by the Sultan of Ottoman Empire and inhabited in Balat Neighborhood. You can choose Nardis Jazz Club for entertainment in Galata area. You can enjoy your night on a calm atmosphere with a beautiful music. 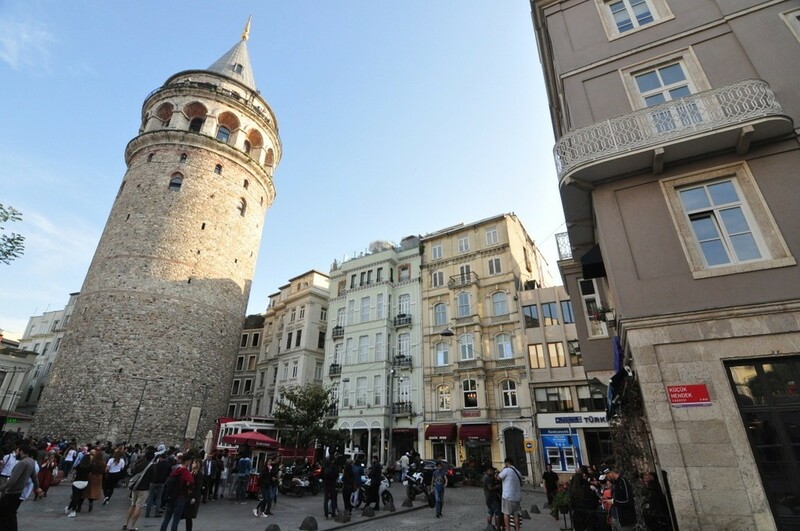 How to Go to Istiklal Avenue Or Taksim Square from Galata Tower? It is easy to reach Istiklal Streen from Galata. When you take Galata Tower on your behind and follow Galip Dede Street on the northern direction, you will arrive at Tunnel Square. This is beginning of Istiklal Street. Along the Galip Dede Street, there are souvenir shops, hostels, cafes, painting workshops and musical instrument shops. 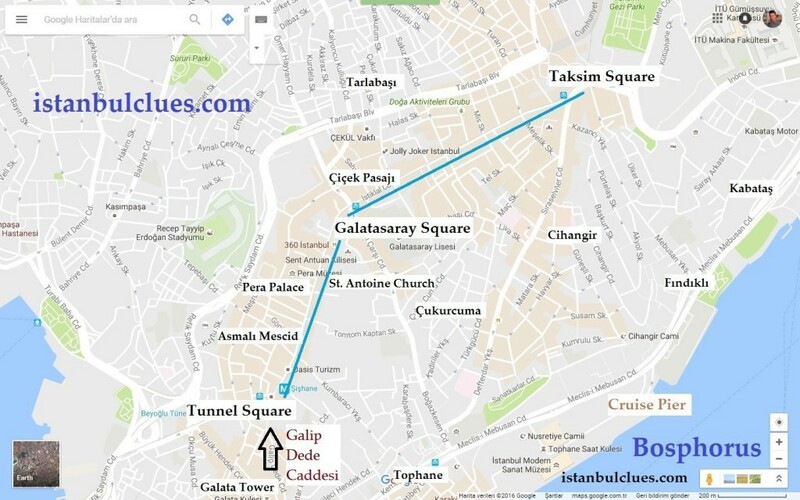 How To Get To Galata Tower From Old City? Admission fee is 25 Turkish Lira. Children under the age of 7 free of charge. 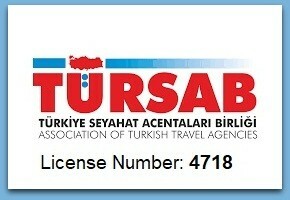 The Istanbul Museum Pass is not valid for this museum. The Galata Tower is open from 9:00 a.m. to 7:00 p.m. in the evening. 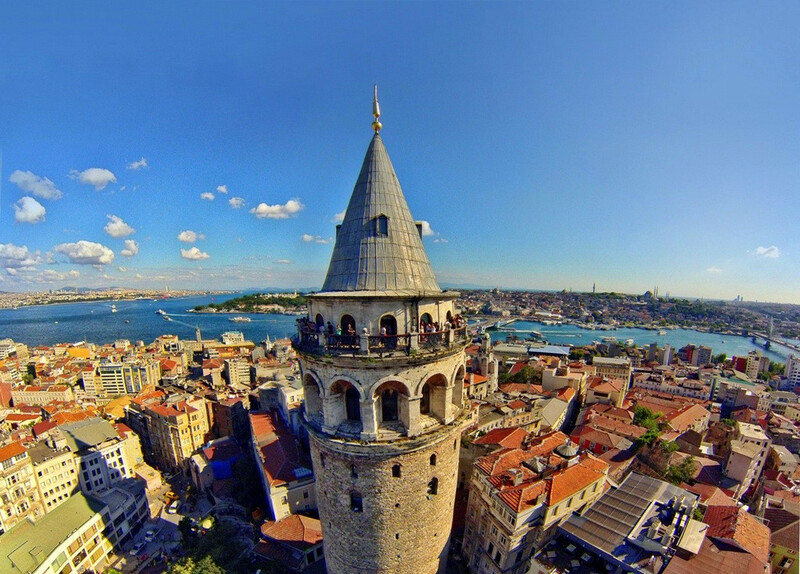 The Galata Tower is open 7 days a week.